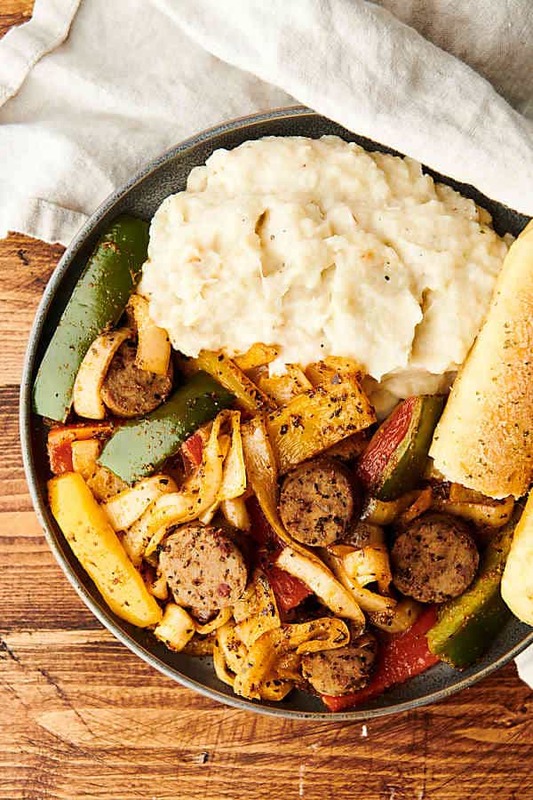 Sheet Pan Chicken Sausage and Peppers. One dirty dish, need I say more? 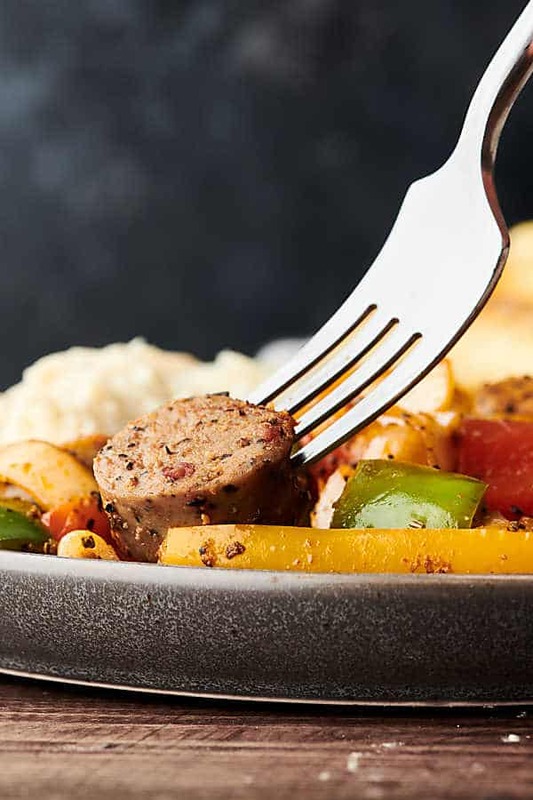 😉 Loaded with chicken sausage, onions, peppers, and spices, this recipe is ready in under 30 minutes and packed with flavor and healthy deliciousness! Less than 250 calories per serving. If you love this sheet pan wonder, you’ll also love: Sheet Pan Asian Salmon and Broccoli, Sheet Pan Greek Chicken, and Sheet Pan Chicken Fajitas. We all need more sheet pan dinners in our lives, don’t we? If you’re not sure what a sheet pan dinner is, let me explain. Preheat your oven and line a rimmed baking sheet with a silicone baking mat or parchment paper. Dump things (usually protein and veggies) onto prepared baking sheet. One dirty dish to clean. 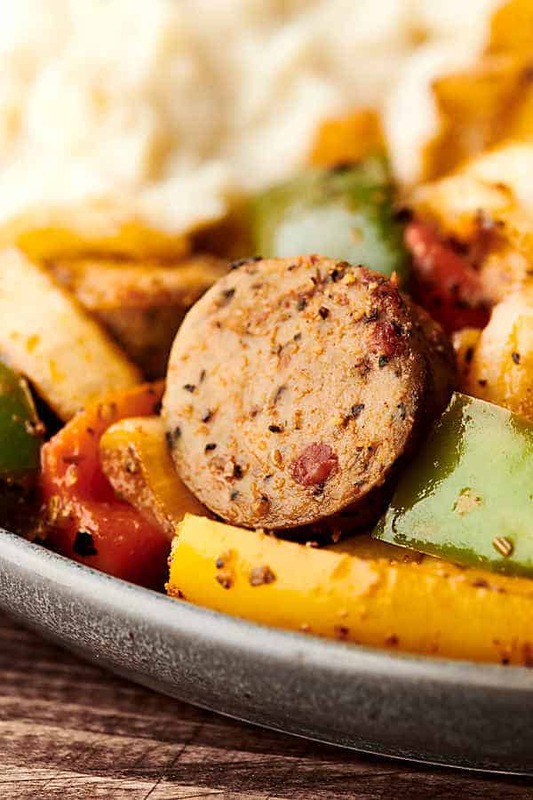 Today, we’re making sheet pan chicken sausage and peppers. 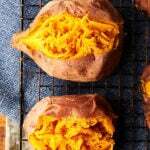 It’s versatile, it’s healthy, it’s loaded with lean protein and veggies, and it’s a crowd pleaser. 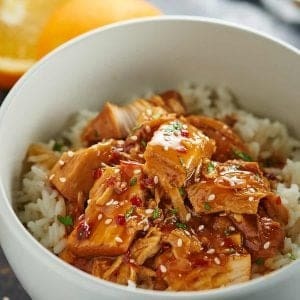 What more do you need in a quick and easy weeknight dinner?! Preheat oven to 400 degrees F and line a rimmed baking sheet with a silicone baking mat or parchment paper. Place chicken sausage, onion, and peppers onto prepared baking sheet. Drizzle with olive oil and sprinkle with spices. Toss to fully coat the chicken and veggies. 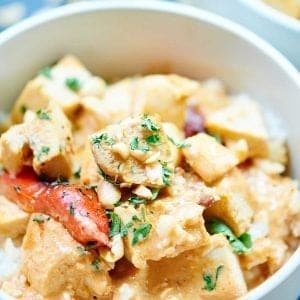 Bake in preheated oven for 20 minutes, or until veggies are tender and cooked to your liking, stirring halfway through. 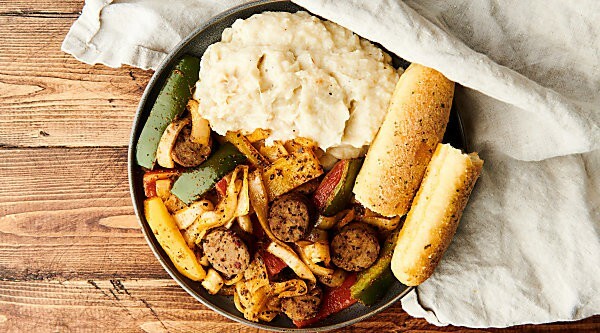 What would you serve with sausage and peppers? 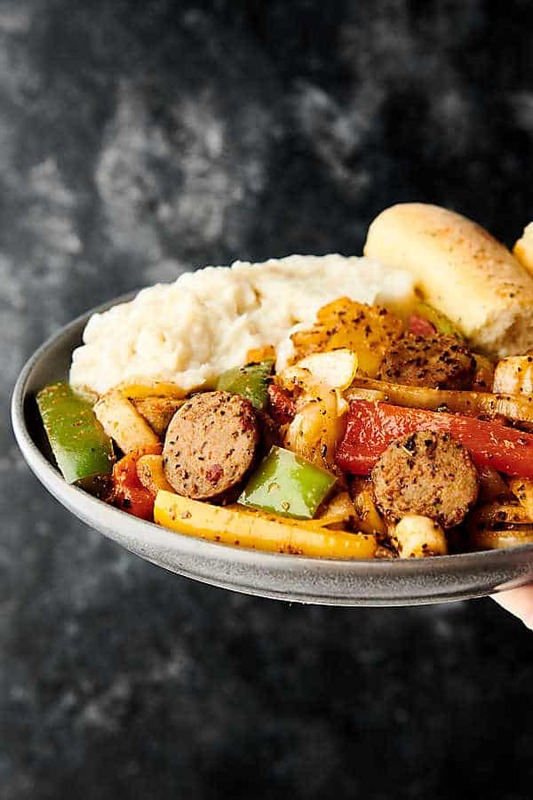 I love the combination of hearty sun dried tomato chicken sausage with the tender veggies and flavorful spices. You’re 30 minutes away from dinner tonight . . .
Do you want more easy sheet pan or one pot dishes? Show Me the Yummy! Make sure the chicken and veggies are evenly spread in a single layer.